TNTET 2017 - Teacher Recruitment Board announced to conduct Teachers Eligibility Test - 2017 on April 29. This is a very important test for job seeking teaching qualified persons. 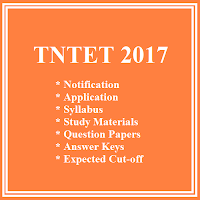 This TNTET 2017 Exam will be conducted for selecting the teacher job. TNTET pass is must for basic qualification on teachers job. 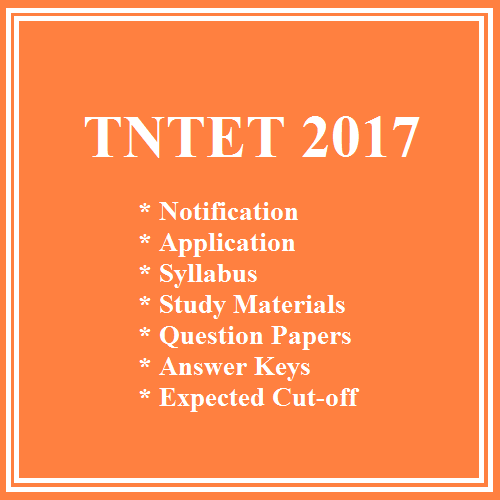 The TNTET 2017 notification was published on 24.2.2017. Application are invited for Paper I and Paper II from the eligible candidates. TET is the most important part in all the upcoming govt teachers life. As per the RTE Act one Teacher must be cleared this TET exam to get the appointment in Govt Schools. * The Application issued from 6.3.2017 to 22.3.2017. * Last date for the submission of the fulfilled application is 23.3.2017 by 5 pm. * Hall Tickets Released on 10.4.2017 - Time 6.p.m.